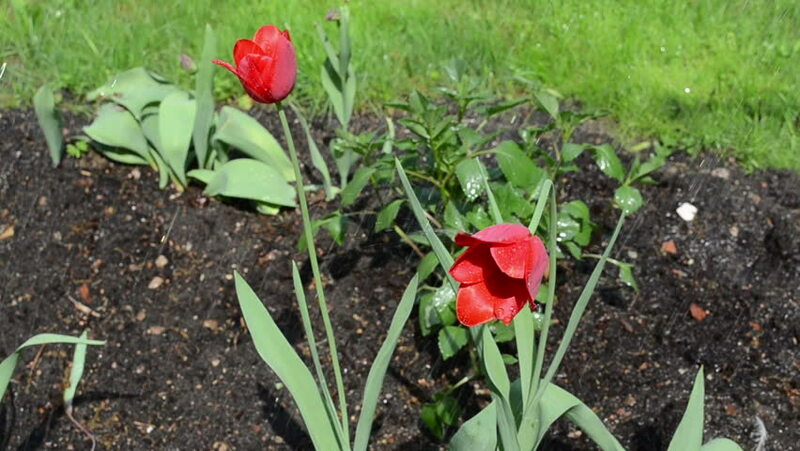 Rain water drops fall on red tulip flower heads in sunny day. hd00:26QUEBEC CITY, QUEBEC, CANADA - MAY 25, 2017: Home of the Parliament building in Quebec City, the capitol of Quebec, Canada. With colorful tulips in the foreground, tilting up. hd00:08Indian paintbrush along the trail in the Montana wilderness, USA.